By housing content on a webpage, users can select how and in what order they experience it, as opposed to a linear audio tour. Another creative use of this technology is in helping the user to navigate their surroundings. Since the LaunchGuide devices have a fixed location relative to certain destinations, such as bathrooms, guest service counters, galleries, etc., they can provide the user with accurate, detailed instructions for navigating to these destinations. Peacock created LaunchGuide so that individuals with low or no vision could feel included and independent, and even reconnect with places they used to visit. In addition to the Dennis Braille Trail, LaunchGuides are currently located at the Worcester Senior Center, the Museum of Russian Icons, and at the Helen Keller exhibit at the Brewster Historical Society Museum. In the near future they are set to be installed at four more museums in Massachusetts, and Peacock is working to have them installed in even more venues going forward. Speaking on assistive technology (AT) in general, Peacock claims to have seen the industry expand by leaps and bounds in recent years, as smartphones and tablets continue to improve on features designed to help people with different abilities, and apps designed for these devices improve their accessibility. To learn more about LaunchGuide, visit http://www.commplements.com/launchguide.htm. 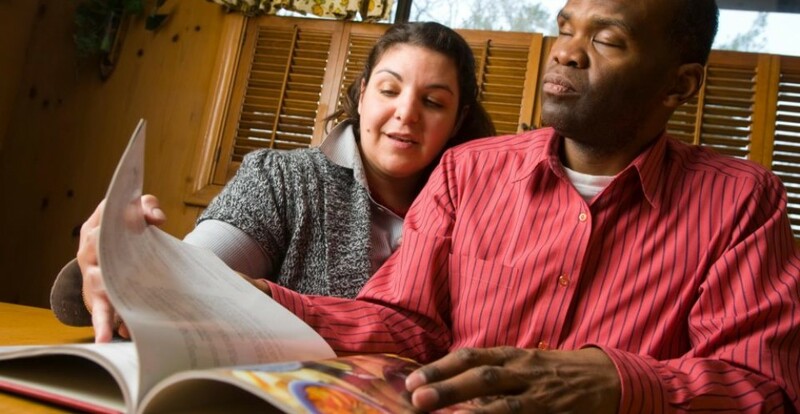 Learn about how the Massachusetts Association for the Blind and Visually Impaired can help you or a loved one with assistive technology by calling (888) 613-2777 or visiting our website. 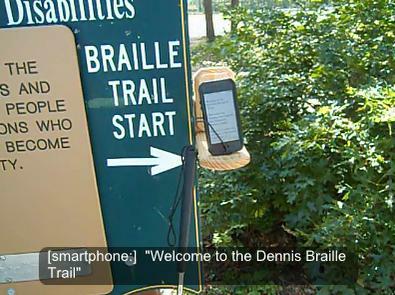 This entry was posted in Modern Technology, Uncategorized and tagged Accessibility, accessible technology, adaptive devices, adaptive technology, Apple, assistive technology, blind, Blindness, Boston, Brian Klotz, Dennis, Dennis Braille Trail, Disability, Helen Keller, iPhone, Jack Peacock, LaunchGuide, Low vision, MA, MABVI, Massachusetts, massachusetts association for the blind and visually impaired, smartphone, technology, vision impairment, Vision Loss, Visual impairment, Visually Impaired, Worcester Senior Center by mabvi. Bookmark the permalink. Thanks so much Brian Klotz and MABVI for this valuable information. I can’t wait to check it out.